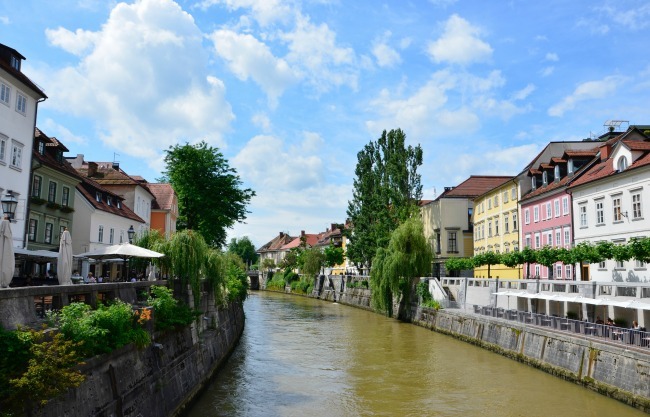 Before arriving in Slovenia I honestly didn’t know a whole lot about the country, but I had decided to visit after hearing rave reviews from some friends who had been there not long prior, and I’m so very glad I did! 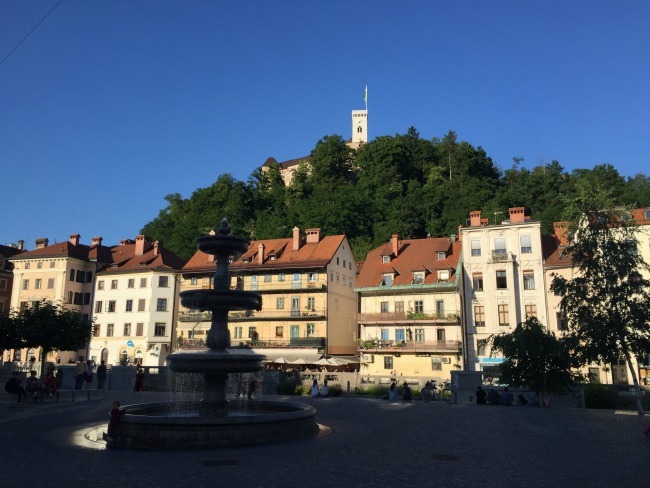 Today I wanted to share some of my Ljubljana exploring adventures with you – be prepared to want to pack a suitcase immediately! 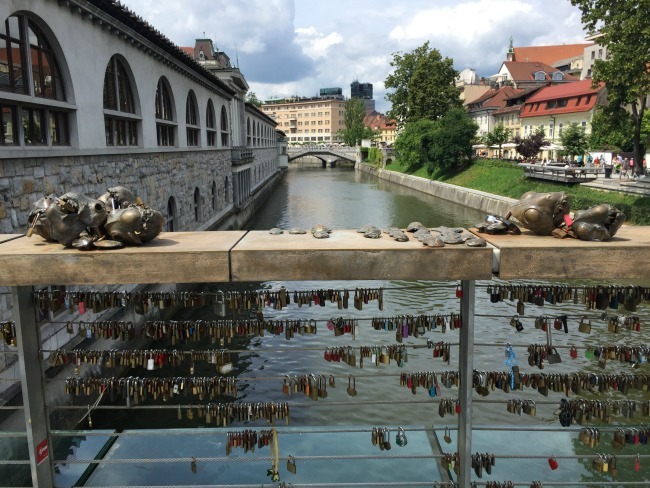 The Ljubljanica River runs through the city of Ljubljana with the banks lined with cafes, bars and markets making it an incredibly lively place to explore no matter what time of the day. 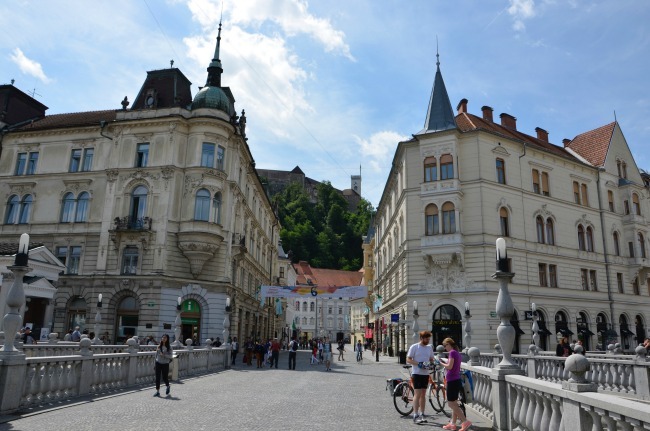 The other feature of the city that jumps out immediately is the medieval castle perched high on the top of the hill right in the centre of town which makes for a pretty breathtaking backdrop! The city is also full of dragon statues of varying shapes and sizes (including some pretty large ones at the aptly named Dragon Bridge!) as the dragon is the symbol of the city. 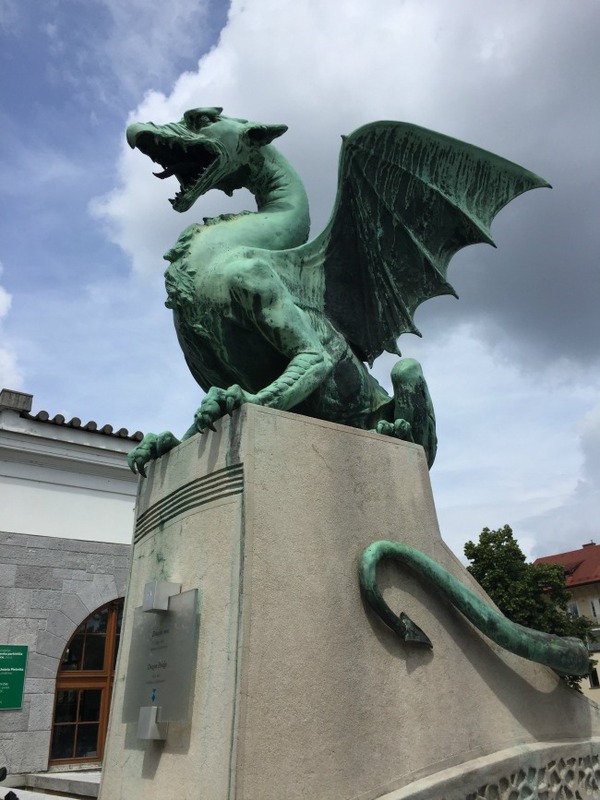 This is due to the belief that the dragon battle in the story of Jason and the Argonauts took place in Ljubljana, as well as the dragon being seen as a symbol of strength and courage – it makes for an impressive bridge, that’s for sure! I spent much of my time just wandering through the gorgeous little streets and along the river bank taking in the sites, crossing back and forth over the many bridges, including the famous triple bridge at the entry to the old part of town. This central part, between the castle and the river, is closed to cars making it a hub of pedestrian and bike activity which I really loved. It was so busy, with amazing shops lining the streets selling local crafts, food, clothes and the like – I restrained myself pretty well on the shopping front though! Lots of the buildings are painted in bright colours which makes for a gorgeous setting, with none more colourful than the pink 17th century church located in the Prešernov trg square, which was another hub of activity both day and night. It really is an excellent city for people watching! 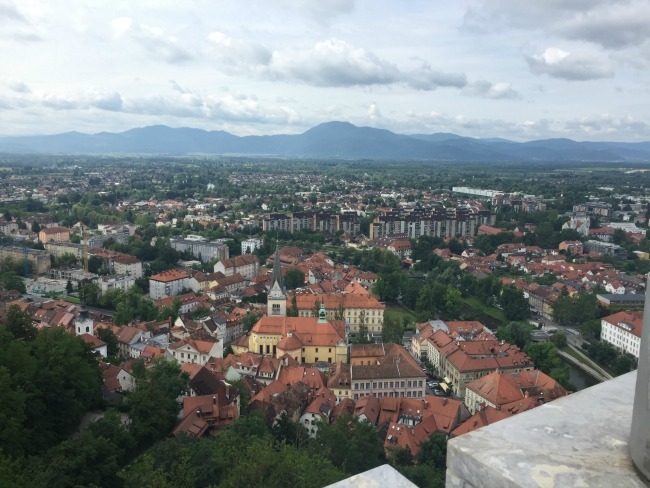 When I first arrived in Ljubljana I discovered that it is Europe’s Green Capital for 2016 which obviously sparked my interest straight away, so I went about learning as much as I could about the sustainability measures they had put in place. For a small city they were doing some really fantastic things, with a strong focus on greening the city, reducing the amount of waste created and promoting sustainable forms of transport. There’s also a huge amount of water fountains around the city which are paired with signs about using your own bottle rather than buying bottled water which I definitely appreciated! They’d made all these changes since 2007 which makes it even more impressive! In case that wasn’t reason enough for me to fall in love with Ljubljana the people were incredibly friendly and welcoming as well, and English was incredibly widely spoken which is lucky given my complete lack of Slovenian! It was such an easy city to explore on my own, and even though I got some pretty heavy summer storms it was even incredibly beautiful when I was completely drenched! 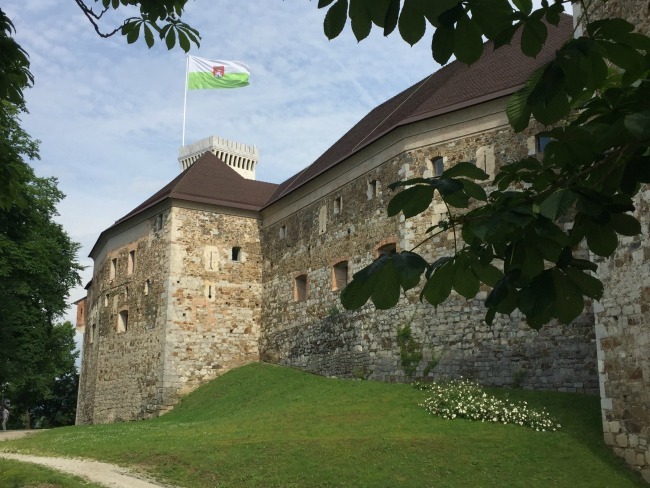 Unsurprisingly a visit to Ljubljana Castle is a must do when exploring the city, and it can be reached via a funicular, or by walking up the somewhat steep hill (which is the option I took!). I headed up first thing in the morning which was an excellent idea as it meant that I got to do lots of exploring before many other people arrived. 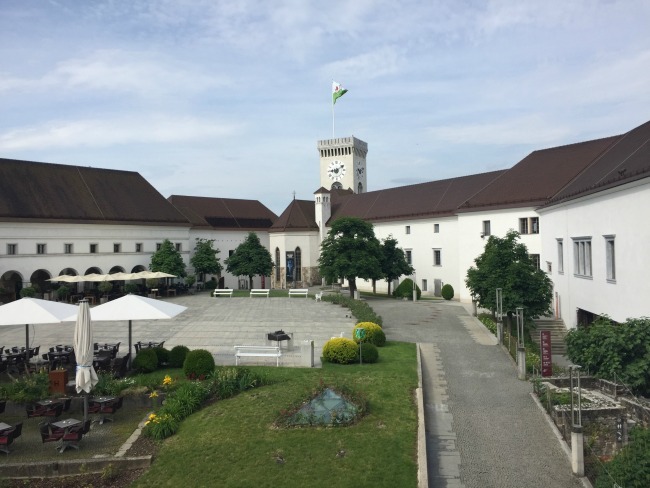 The castle is now home to a museum on Slovenian history which I found incredibly enlightening, as well as a puppet museum, a Chapel and even a historical prison. There is also a cafe and two restaurants, as well as a gallery space and another exhibit space which when I visited was dedicated to the plight of the bees which was super interesting. One of the real drawcards of the castle is its outlook tower which provides breathtaking views over the whole of the city and towards the nearby mountains. Being there bright and early meant I had the top of the tower to myself which was great as I definitely took my time taking it all in – I took about a million photos as well, but don’t worry I won’t share them all! I absolutely loved all the terracotta roofs and being able to get a feel for the layout of the city – that definitely appealed to the planner in me! 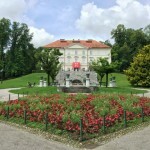 I visited the Castle on my first full day in Ljubljana which was a great idea as it not only allowed me to get a grasp on the lay of the land, but by visiting the Slovenian history museum I had a better understanding of the waves of settlement that had occurred in Ljubljana before I set out to do more exploring. The Castle is open 7 days a week with opening hours varying depending on the time of the year, but generally from 9 or 10am until 6pm in winter and as late as 11pm in summer! Entry is €7.5 or €10 if you want to take the funicular and that includes entry to the castle grounds and all the exhibits. 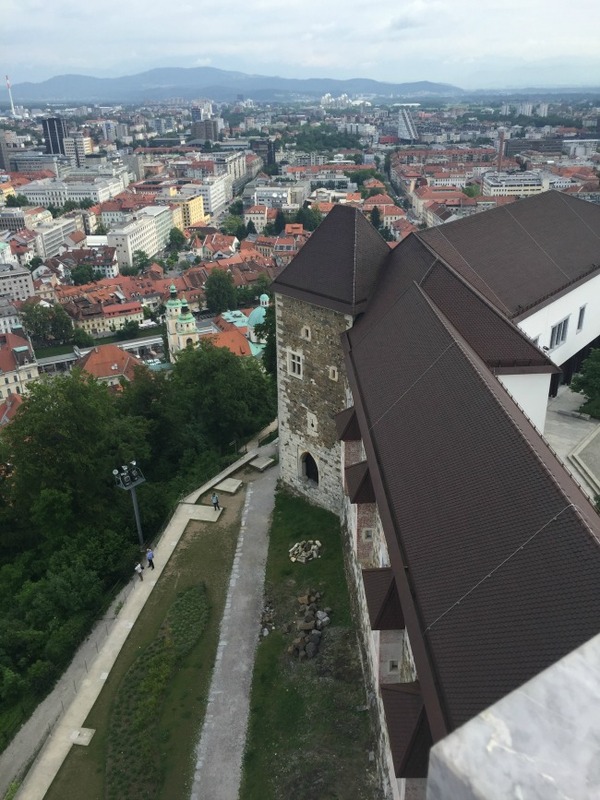 A must visit for your Ljubljana exploring adventures! 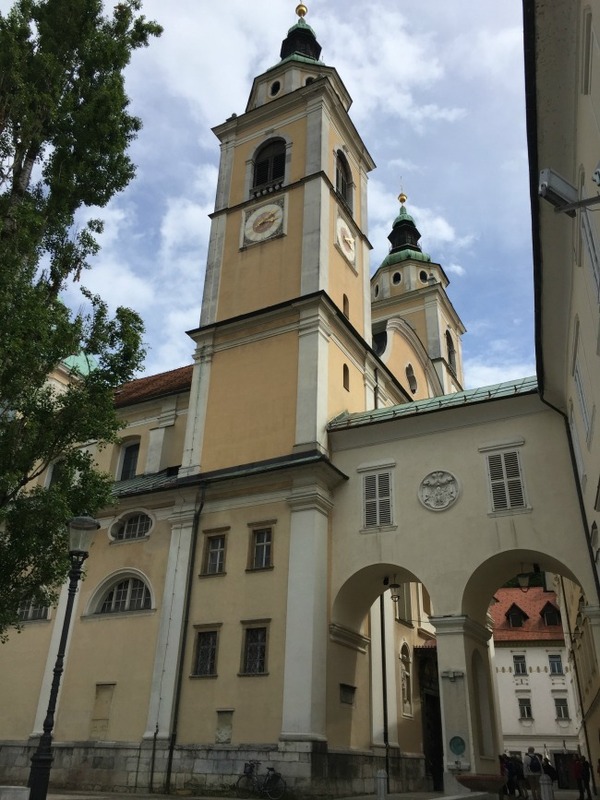 The Ljubljana Cathedral is another site to add to your must-visit list, perched right in the centre of town near the market square. It’s exterior is much simpler than many of the cathedrals I have visited in other parts of Europe, but it is hiding a pretty amazing interior! 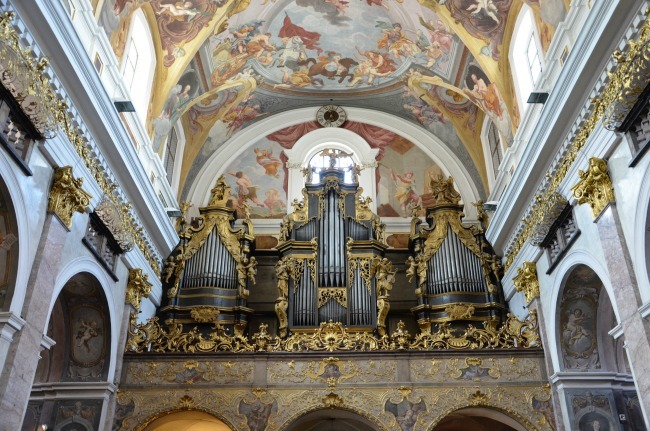 The site has been home to a cathedral since the 1200s but this building dates back to the 1700s and is designed in a baroque style. 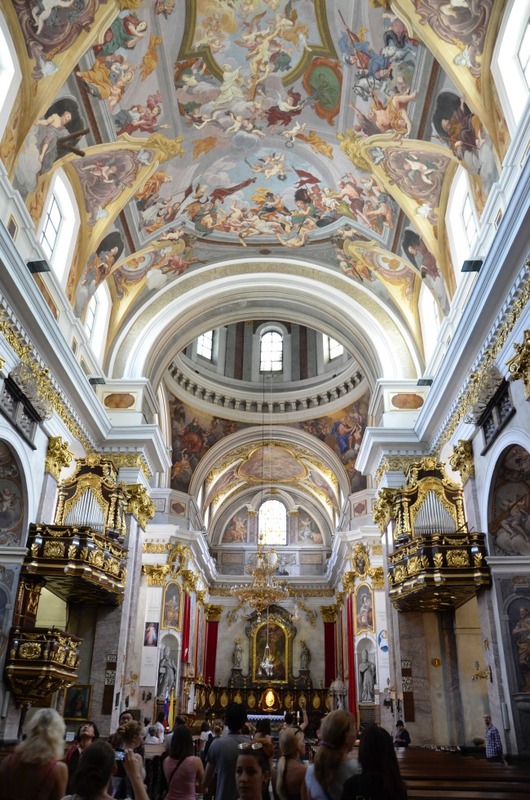 The interior is full of stunning frescos and a vast amount of gold – it really was a beautiful cathedral. It’s free to visit and services are held at a number of times each day. 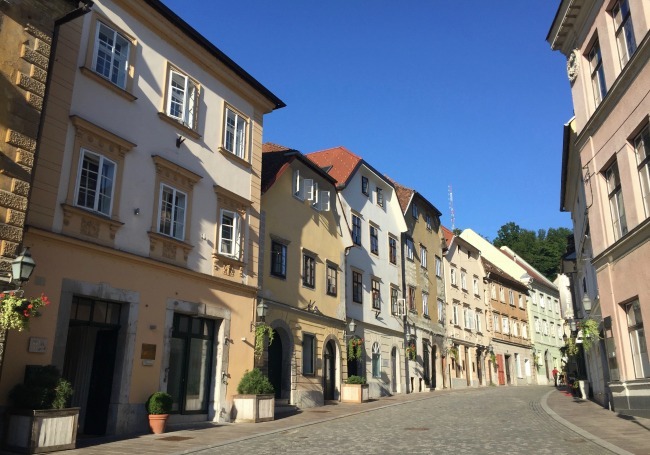 I have more of my Ljubljana exploring adventures to share with you – I may have only been in Slovenia a week but there is definitely a lot to share! It quickly became one of my absolute favourite places, and one that I would love to go back and explore more of one day! 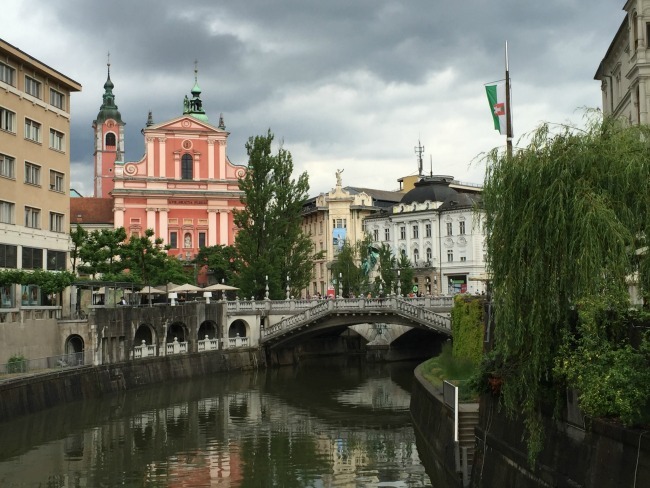 I hope this story of my Ljubljana exploring has got you inspired to visit! it all looks lovely thanks liz! I really did have a wonderful trip! Hi.. i’m indonesian. i will visit slovenia, bled lake actually tonight (23rd oct. As my husband is busy eith hus workplan, i plan to do the exploring by mysel,could you give me sone guidance what transportation should i take during my journey? 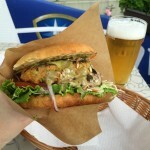 And is there any traditional market in bled? Thx a bunch for your help. Hi.. i’m indonesian. i will visit slovenia, bled lake actually, tonight (23rd oct). 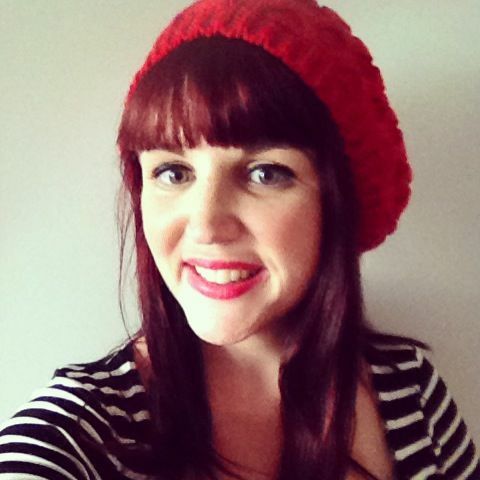 As my husband is busy with his workplan, i plan to do the exploring by myself,could you give me some guidance what transportation should i take during my journey? And is there any traditional market in bled?